1. 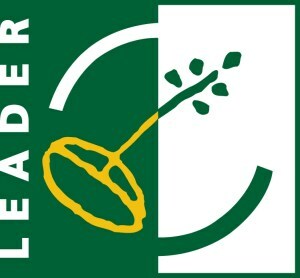 Program "LEADER +" for the development of agro-tourism and standardization of local traditional products. 2. Program "R3L Initiative-European Networks of Learning Regions", for continuous learning. 3. Program "Leonardo da Vinci" - Experience with new technologies and practices in EU countries. 4. Program INTERREG III C - "Mo.No.Pi" - Highlighting religious monuments and experimental implementation as an alternative form for the religious and architectural design. 10. Program "Europe for citizens: Promotion of Active European Citizenship" concerning the promotion of unity and cooperation among citizens living in EU countries through seminars, lectures, etc. 19. Progress Program - CHALLENGE. Its objective was the promotion of Persons with Disabilities (SEN) in the labor market. The total program budget was € 103,690. In this program Larnaca District Development Agency was a partner. Its objective was the promotion of rural tourism in the internal areas of the Mediterranean Islands (Sardinia, Malta and Cyprus). Future perspectives of Rural Development: Comparing different European Scenarios. Facilitating the participation of as many cultural professionals possible in the program through links to other sources of information and cultural institutions from Cyprus and abroad. Informing candidates for the financial aid under the Community’s Cultural Mechanisms. Guidance and counseling services for the preparation of applications. Ensuring continuous communication with the various cultural institutions in Cyprus, for a more successful implementation of the actions related to the Program 'Culture 2007-2013', in line with national support measures. A wide announcement regarding the call for applications, as well as other information intended for the cultural sector that come from the General Directorate of Education and Culture of the European Commission. Creating links to other Information Points in member states of the EU and other countries participating in the program. Allowing the cultural institutions of Cyprus to be included in the list of Cultural Institutions. Allowing foreign cultural organizations to seek partnerships with cultural institutions in Cyprus, as well as providing assistance to cultural institutions from Cyprus to find a partner from abroad. Anetel is taking part in this eighteen month project along with partners from other five European countries. The ultimate objective of Philoxenia plus is to promote the economic, cultural and environmental growth of the Mediterranean south arising from the return of people to rural areas in search of alternative professional options. Philoxeniaplus aims at strengthening the attractiveness of rural territories through the implementation of good practices (GP) concerning local governance, revitalisation of villages, dynamisation of tourism, diversification of local economy, rejuvenation of local population by the attraction and welcoming of newcomers, increase of local financial resources. At stake, furthermore, is the appropriation of these GP by other territories looking to experience a similar type of growth. The GP will therefore be collected into a methodological guide directed to local authorities. The Mediterranean Program “Maremed: aims in improving the coordination of regional maritime policies between the levels of National, European and Mediterranean Governance. In order to establish a comprehensive policy, the basic priorities need to be observed and receive simultaneous management. The project aims at those elements of maritime policy that have an inherent transnational dimension. Fourteen regional partners and the CPMR will carry out an overview of the policies implemented and their governance, from which they will identify pilot coastal zones for transnational management and shared operational tools to aid in decision-making. The program aims through transnational cooperation to promote awareness of the population and Local Authorities in the Mediterranean on the importance of landscape in rural areas as a key element for development purposes and as a sign of their identity. The OSAIS program was created out of the need for a new approach to address and study the issue of state aid in terms of financial support to small and medium enterprises (SMEs). The overall aim is to improve the effectiveness and efficiency of regional / local development policies in the areas of the program’s partners in the sectors of economic modernization and increased competitiveness of the SMEs, by assisting the exchange, distribution of good practices and knowledge for financial assistance to SMEs by the State. The Program ENSPIRE EU was created out of the need to attract young entrepreneurs, while focusing on building and developing a European business culture and promoting entrepreneurial inspiration. The general objective is improving the efficiency of provincial development policies aimed at encouraging an entrepreneurial culture in a way that will contribute to economic modernization and increased competitiveness in Europe. The program aims to promote and enhance the socio-economic performance of areas with special emphasis on strengthening the protection of tourism and cultural heritage and landscapes of the Mediterranean basin. Specifically the program promotes the development and dissemination of advanced systems for integrated management, exploitation and dissemination of cultural heritage and landscape. The PERIURBAN PARKS program is a regional initiative that aims to strengthen cooperation, which uses inter-regional exchange of experience on improving policies regarding the management of natural surroundings. The PERIURBAN PARKS program specifically focuses on policy and management of solutions to reduce pressures on biodiversity. The creation and management of natural parks in suburban areas has a positive impact on the environment and halting biodiversity loss. These initiatives focus in line with the European environmental policy and restoration of sites. The overall project objective is the promotion of handicrafts as a special cultural and economic resource of selected disadvantaged sub regions, within the area of cooperation, on the basis of selected agro-tourism routes. To achieve this general objective the project formed a mixture of actions for networking between local cultural institutions, handicrafts, agro-tourism, cultural and environmental NGOs. In addition it moved towards establishing a common logo for craft products in Greece and Cyprus, institutionalizing cultural events in the areas of implementing the project and the creation of spaces facilitating the production and promotion of products, joint exhibitions of craft activities, organizing and awarding honors of excellence, while at the same time activities of human resource development in the region take place (counseling, combined training, etc). The main objective is to provide a framework of systematic cooperation between Cyprus and Eastern Crete in the management of water resources and water saving. The framework will integrate a series of actions that will directly facilitate the exchange of expertise and experience among Local Authority bodies of the two spatial components and will contribute positively to the mobilization of local communities and to further develop and strengthen the cooperation between Local Authority bodies of Cyprus and Crete to the benefit of future joint actions and initiatives in the sector of water management. The project "AGROTOEPICHIRIN" is required to cover the needs identified in its area of intervention. It was jointly designed by the four partners of the project and will implement actions and activities concerning agro-touristic services for food and shelter, agricultural product processing and production of local traditional products (handicraft, embroidery, etc.). Expectations from the project include the transfer of knowledge and experience among the project partners and entrepreneurs of the area of intervention, improvement of the extraversion of rural enterprises, strengthen alternative forms of tourism in the area of intervention, to modernize the business operation through the use of ICT, to improve methods of projection and promotion of local products, to enhance and strengthen the social and productive means of the area of intervention as well as to increase employment and to increase participation in lifelong learning and training. The program OIKOPERIOIGITES has as a main objective the direct application of the principles of the project, creating public awareness among stakeholders and residents in order for its actions and activities to have an effective impact. This integrated approach aims at a long term perspective, incorporating both environmental care and education as a priority over the threats of climate change and putting forth cultural values as a tool for demonstrating the identity and competitiveness in this intense global socio-economic environment. The aim is sustainable development in ways that ensure continuity and synergy of invested resources and the formation of prospects, responding effectively to the need to preserve its identity, individuality, diversity and highlighting its attractiveness. The project is an ambitious pilot mechanism for the diversification of growth prospects. The Larnaca District Development Agency is an approved Local Action Group under Priority Axis 4 of the Operational Fisheries Programme (OPF) 2007-2013 for the implementation of the Local Plan for Fishery Areas of the Districts of Larnaca and Famagusta. The area of Intervention for the Local Program includes 3 municipalities (Larnaca, Paralimni, and Ayia Napa) and 5 Communities of Larnaca and Famagusta (Mari, Zygi, Ormidia, Xylotymbou andLiopetri). The total population covered by the intervention area is 72,367 people (census 2001) and the total area is 255 square kilometers. Exploiting the inherent potential of the area of intervention to improve the attractiveness and quality of life for residents and to upgrade the quality of offered services. The total public expenditure for Priority Axis 4 adds up to 2 million Euros, where EU and national funding rate is 50% respectively. For this public expenditure, the total cost of the program is expected to reach € 2.000.000. The Larnaca District Development Agency is an approved Local Action Group under Axis 4 - LEADER Rural Development Program 2007-2013. The Local LEADER Program for the District of Larnaca was designed with criteria regarding the approach based on the region, the " bottom up’’ approach, the partnership approach, the innovation, an integrated approach, the networking and cooperation between regions and the local management. Improving the quality of life and appointing the area of intervention as an attractive place to live. This is a project which aims to reduce the gap between research and the market. Observing that the gap is quite big in Europe compared to America, the project aims to produce new tools and practices to help increase the support to researchers and companies to be able to present their innovative ideas in public and private institutions for funding. - Lack of communication between research, market and society. - Obsolete and non efficient selection procedures for funding. The InnoFun Project will move towards solving the above problems with the cooperation of several countries ( partners), the exchange of best practices among themselves and implementing various tools such as "Digital Storytelling" (using a computer for the narration of a story or idea). • Develop the attractiveness of rural areas in order to attract new residents. The latter will promote Telework (work at distance), thanks to the new ICT. • Promotion of local tangible and intangible products, thanks to the use of geomatic tools and Geographic Information Systems. 1. Program INTERREG III B Archimed - "WBC", aimed at enhancing women's entrepreneurship (assisting the Municipality of Lefkara). 2. Program INTERREG III B Archimed - "MULTI-GATE", regarding the implementation of actions for electronic information given to travelers from key cities, people that come from different areas (assisting the Municipalities of Aradippou and Larnaca). 2. Program "Training of refugees and persons with subsidiary protection – Roads for Accession" concerning the training of people with subsidiary protection for their integration into the labor market. 1. Program under Measure 1.4 - entitled "Extension of Care Services for children, elderly, disabled and other dependent people", concerning the creation of a Nursery Station in the Community of Pyla. 2. Program under Measure 1.4 - entitled "Extension of Care Services for children, elderly, disabled and other dependent people" concerning the creation of a Creative Center for Children with Disabilities in the Municipality of Aradippou. 3. Program under Measure 1.4 - entitled "Extension of Care Services for children, elderly, disabled and other dependent people" concerning the creation of a kindergarten in the Municipality of Athienou. 4. Program under Measure 1.4 - entitled "Extension of Care Services for children, elderly, disabled and other dependent people" concerning the creation of a Creative Center for the elderly and providing in home care services in the communities of Kofinou, Mazotos, Skarinou and Psematismenos . 5. Program under Measure 1.4 - entitled "Extension of Care Services for children, elderly, disabled and other dependent people" concerning the creation of a Nursery Station in the Community of Pyrga. 6. Providing psychological support to asylum seekers.